Krystof Strozyna’s new range “Signature” has launched at Alter Concept Store last night in their Xintiandi Store. His signature tailoring and sculptural forms are enhanced by a 70s Sci-fi palette of bright yellow, orange, red, beige, white and black. 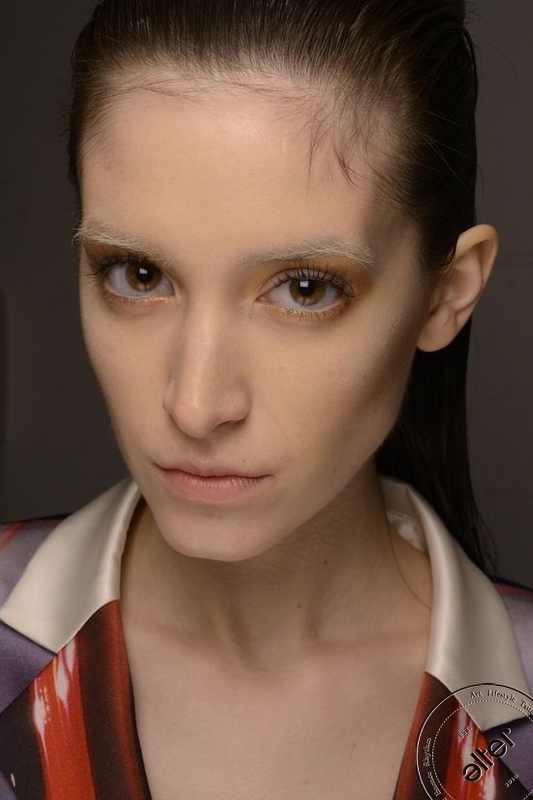 Krystof Strozyna completed an MA Degree at Central Saint Martins College of Art and Design in London in 2007. 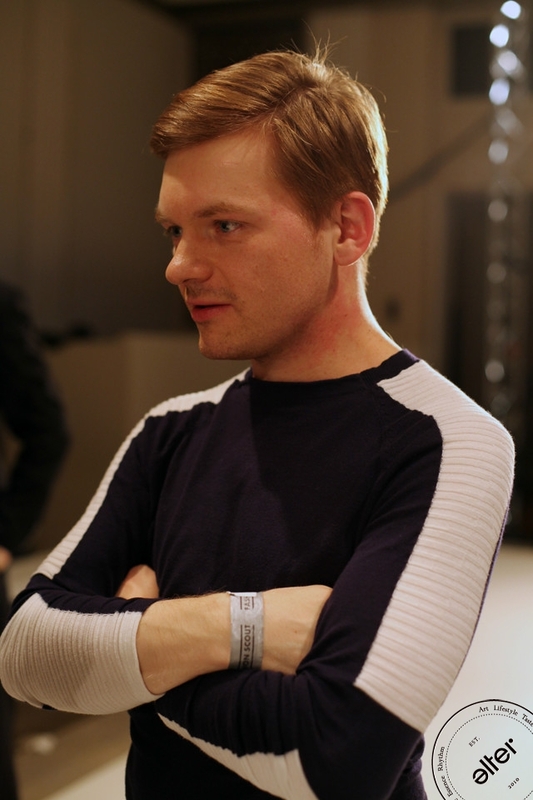 Upon graduating, he was invited to display his collection in Harrods as one of winners of the Harrods Design Award as well as acclaim in Vogue, Elle and The Sunday Times Style as well as style sirens such as Natalia Vodianova, Katy Perry，Ellie Goulding，Lily Cole and Sophie Ellis-Bexter. Q:How did your fashion adventure begin? A:I was always surrounded by amazing people, always looking at images; it just happened naturally. Q:When did you realize you wanted to become a fashion designer? A:I don’t remember that moment and I’m never thinking about it. Q:What does fashion mean to you? A:Excitement, change, fashion is made to wear it. Q:What are some of your fashion goals? A:To inspire people, to make them happy. A:It’s difficult to find anything that could not be an inspiration for me. People, art, weather. Q:What was the first piece of clothing you ever designed? A:I have no I idea, I’m rather about what I’m working on at the moment. Q:What matters to you most as a fashion designer? A:To see people wearing my pieces. Very exciting. Q:Do you prefer sketching designs or actually constructing them? A:Sketching is amazing, that’s when most of the ideas come out of nowhere. Magic. But the rest is also beautiful. Q:What does fashion mean to you as a young and emerging talent? A:It is such a big influence on everything and the other way round too – it is influenced by everything. 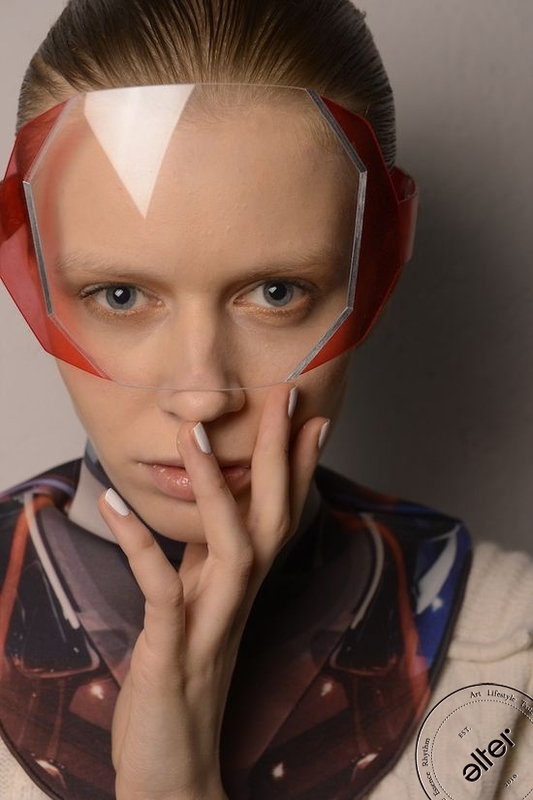 Q:Do you feel there’s a significant interest for young designers at the moment? A:I would say so, however I think that it is and always was like that. People want everything that is fresh, crisp! Q:What makes your SIGNATURE collection special? A:The SIGNATURE collection is about the perfect dress for an extraordinary woman, that loves art, especially wearing it. Q:Tell us a bit about the colour scheme in the SIGNATURE collection. A:It’s POP! It is ever-changing, for each season you will get colours that appear in the main line as well as classics like black and beige. Always very POP. This time vibrant yellow and orange. Q:Where did the idea to create a SIGNATURE collection come from? A:It was always in my head, the right time has come to reveal it. Q:How long did it take you to construct the SIGNATURE collection? A:It was a long process, took a lot of lessons. We have gathered the designs, the knowledge, the emotions from few seasons. Q:What is the staple piece that all women should have in their wardrobes? A:A dress! 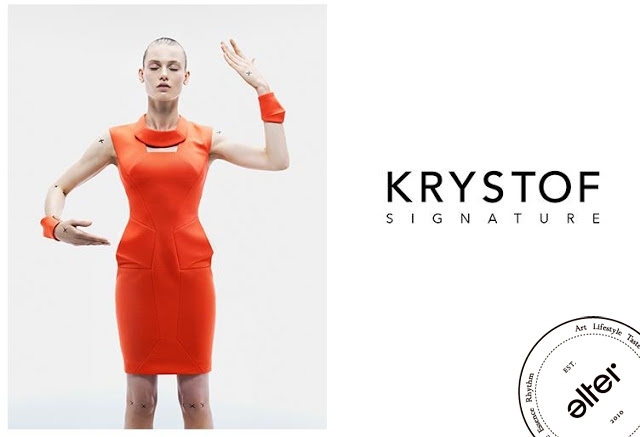 A Krystof SIGNATURE dress. Q:If you could dress any celebrity in your SIGNATURE collection, who would it be? A:Monica Bellucci would be hot, Vanessa Paradis and Kate Winslet would be also very hot. Q:Who is the SIGNATURE collection designed for? A:For a woman that is always on the move, always beautiful, always catching everyone’s attention. Q:Where do you see yourself in five years’ time? A:Happy, looking at and listening to things that amaze me. Q:What is your favourite song at the moment? The twelve piece collection is available now at ALTER Concept Store, Shanghai, Wolf & Badger in store on Dover Street, London. It’s no secret that I have an affection for all things Australian; the guys, the accent, the free-spirited attitude, and of course the fashion. So when I heard that Aussie label Sass & Bide was returning to New York Fashion Week after a six season hiatus, I was dying to get the scoop on their latest collection. Designers Sarah-Jane Clarke and Heidi Middleton have never gone the tradition route, whether in their careers (they are a former accountant and advertising art director, respectively) or in their design aesthetic. So I was interested to see what the duo had in store this season—surely something cool and unexpected, if The Classic Car Club venue was any indicator. I caught up with Clarke and Middleton backstage amidst the pre-show craziness to talk spring inspiration, the importance of styling, and trading closets with Virginia Bates. Keep reading for the full interview and scroll through the slideshow above to check out our favorite looks from the Spring 14 collection. Lifestyle Mirror: Why was it important for you to come back to New York to show again? 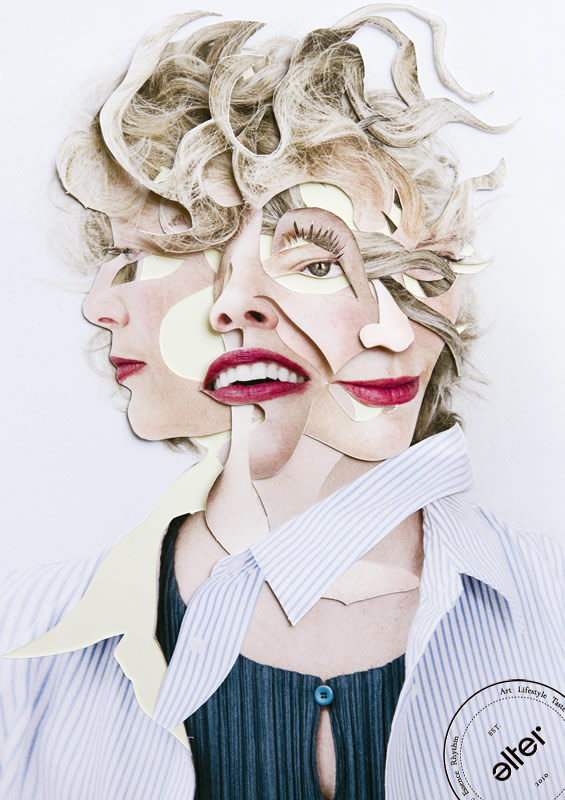 Sarah-Jane Clarke: We’ve been waiting for the perfect excuse to come back to New York because we love New York. The girls here really love the brand so we thought now that we’re opening our first international flagship on Broome Street in November it makes sense to really engage with our girls here. LM: Tell me a little bit about the inspiration for this collection. Heidi Middleton: The big vision for the collection was for it not to be able to be harnessed or put in a box or defined. It was a tale of many worlds. It was really inspired by going into the archives of a lot of the trips where Sarah-Jane and I have collected inspiration from many different cultures and places and I wanted to channel that into a modern and polished way. I wanted it to be indefinable, that was the aim. And it was actually the biggest challenge through the process was to make sure it couldn’t be harnessed or it couldn’t be put to a period of time or a certain genre or culture. So I feel happy that we’ve been able to meet that vision. It’s really a sophisticated coming together of elements. LM: Do you have a favorite piece from the collection? HM: We have a few favorites, probably the gallery playsuit, a short-suit in chalk. SJC: And my favorite piece, I’m loving all of the layered skirts over the pants. LM: How important is the styling to your collections? HM: We’ve had so much attention for our styling that we’ve started to weave that into the actual designs themselves. So the whole thing is pre-styled so can run and the look is already done. We wanted to be able to make it accessible to people who don’t have that natural styling ability. SJC: I think it really just brings the collection together, you can see the vision of how we’d like it to be worn. LM: Who is the woman you’re designing for? HM: It’s interesting, we had a situation last week where one of the staff her 90-year-old grandmother was wearing this piece in the most incredible way and then in the same week her 10-year-old sister had been bought a piece by the family and she was wearing it to a party and we were so inspired by the way they wore it. And for us that epitomizes the Sass & Bide girl, we don’t like her to be an age demographic or a certain type of girl, we just love that it’s a freedom of expression and you can wear the pieces in so many different ways. It’s really about a mindset and a way of being rather than a certain girl. But she’s definitely free-spirited. LM: What’s the best piece of fashion advice you’ve received? HM: Probably to dress for yourself and not for anyone else. LM: If you could trade closets with anyone who would it be? 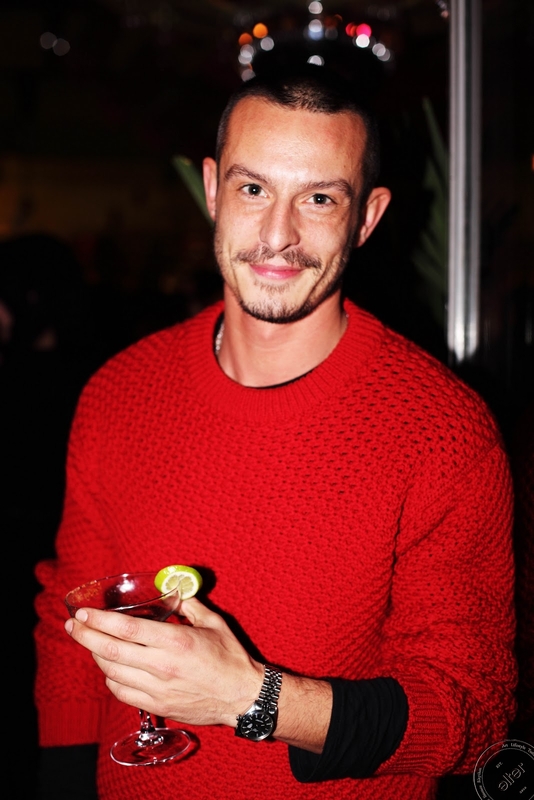 "Things that I love," said Jonathan Saunders. "That's what Resort should be." Maybe that's why his Fall collection stumbled. He described its palette as "earthy," but Saunders is acid, not earth. Resort took him right back to Candyland. Colors and prints popped with the synthetic sizzle that he does so well. Saunders cited the PoMo slickness of the Milanese design group Memphis in the 1980s and the artful irony of Pet Shop Boys album sleeves in the early nineties as reference points. One particular circular "Bubble Wrap" print was directly inspired by PSB's plastic wrap for their 1993 release, Very. The effect was 3-D, duplicated more subtly in pieces cut from a beautiful/ugly blend of silk and Lurex. It felt like a sticky organza, but it floated like magic. The presence of Memphis was strongest in the artificial color scheme. Saunders likes a clash. Pistachio and chartreuse was his favorite. In fact, shades of green clashing with everything was a leitmotif, all the way to a printed chiffon evening gown that shaded together leaf green and black. It was borderline lurid, but that is quintessential Saunders. It energizes him, and one reason this collection worked so well is that he'd found the fabrics to match. The key was body-conscious bonding: double-face jerseys heat-pressed with big, blowsy tulips, silks, and cottons backed with jersey, and sheaths with raw-edged hems bonded so that they, too, had a peculiar dimensionality. "I've been working on that for a year," Saunders said. "A real Resort collection," he called it, and he wasn't wrong. These clothes will sing in the sunshine—the harder the glare, the better. What is your original idea of design? I saw a lot of feeling and Art reference through your bag. I started from the view we satisfy a primary human need in order things must be carried from one place to another. 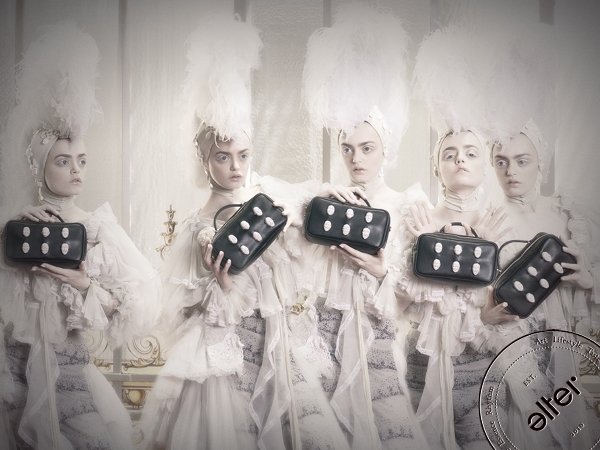 This is the main characteristic that involves the handbag as a functional object. 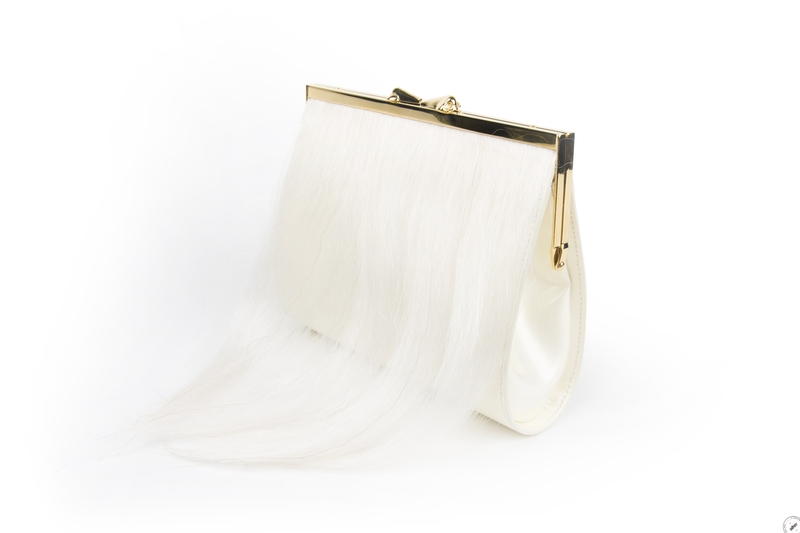 On the other hand, I conceived my creations as pieces of art that connect with the atmosphere and scenario they are involved in, and even most important, each handbag establish its own relationship with its owner and carrier. This is the melting point where we start creating our Collections: The handbags born from an artistic background and point of view, but must be always linked to a functional feature. 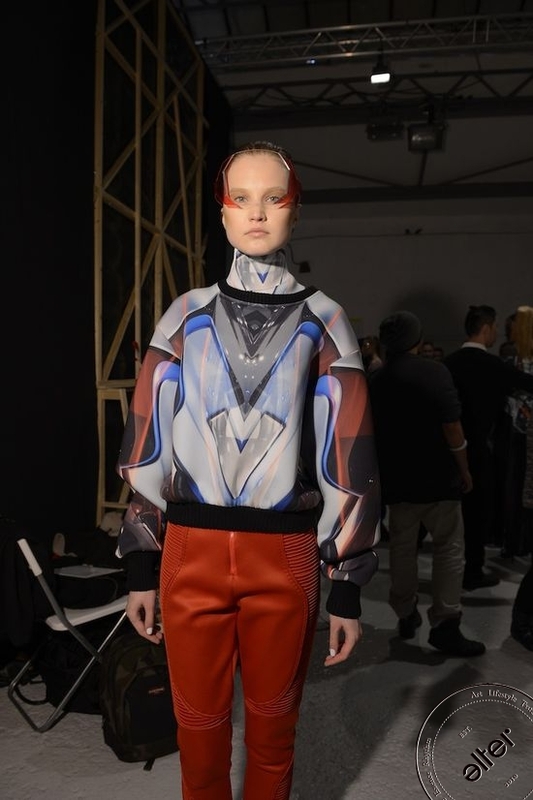 What do you think the relationship between art and fashion? Is essential and unquestionable that all our creations are justified on a artistic perspective from a really wide artistic range such as pictorial art, sculpture, illustration, music… different emotions that make me feel alive and became into my direct inspiration. In recent times, I´m totally fascinated with XXI creators such as Caí-Guo Quiang, Ai Wei Wei, and Ernesto Neto. I have to point out as well Joana Vasconcelos; Jeef Koonso Marina Abramovich performances. All this inspirations and emotions are translated into our Handbags. Without this reference would be impossible to come up with our designs: Sometimes it’s a shown and clear-evidence, sometimes is hidden, but this concept is always behind of them. All your bags are very unique. Where is your inspiration come from? Even this sometimes inspiration looks like spontaneous and simple, it always come from a deep emotional point of view. Art is the way to answer all this intellectual concerns and questions. Would you be able to tell me some interesting stories about your bags? All of our creations try to build-up a strong engagement with our consumers. All of them have a starting-point story, but at the end, are our clients who take this story and adapt it to their own feelings. For instance, all of us have experience a non-happy ending relationship. When a love story ends between two people, you need to take your time to recover and take care of yourself. And this is the moment where our handbags take part on this scenario. We created our HEART Bag in order to give a solution to a broken heart: The bandage you need to cover your wounds or you can take it off when you feel better, and a charm that reminds you the best remedy for a broken heart: Eat fast and sweet food and watch cheesy films with your best friends!. It´s all about our customers feel good and confidence when they are carrying one of our bags. Take an INÉS FIGAREDO piece and make its story totally yours. Your team include many Spanish artists, How you cooperate with them? We present a project, a story, an idea. We collaborate with this amazing crew of sculptures, painters, illustrators, jewelers… we work hand by hand to be always on the same page as them, but without losing their soul and personal interpretation that is always translated into the final creation. You bag has been carried by lady gaga. I got a feeling about you two have some sort of similarity inside. How did you think of her? Lady Gaga represents the perfect union and fusion between Art and Fashion. She has an interesting and strong personality, showing it off in her daily life. Different Celebrities are wearing our handbags currently, but on the other hand we have a high bunch of clients that represents perfectly INÉS FIGAREDO Id. Anonymous women who are curious in terms of going one step ahead in their perception of fashion. This is our most important challenge nowadays; reach these out-standing women making them feel proud of themselves when they carried a Figaredo under their arm. 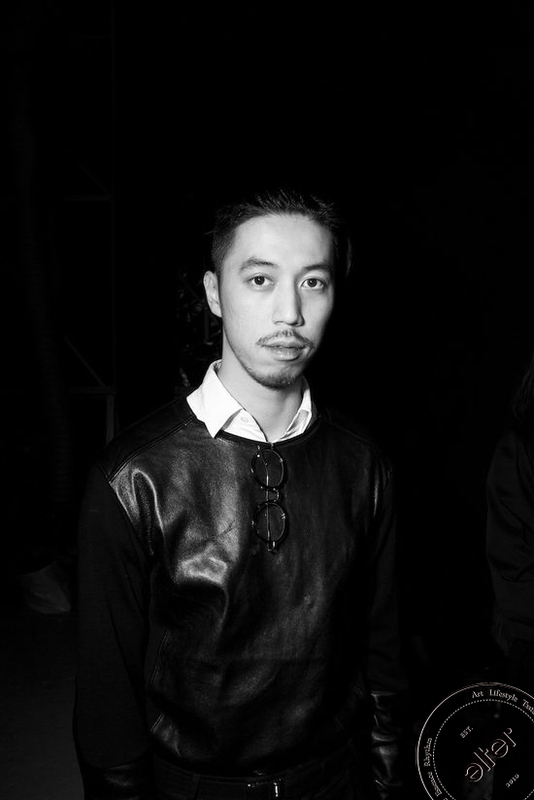 GROUND-ZERO was launched by the designer duo, brothers Eri and Philip Chu back in 2008, with current focus in fashion. The brand's name, is a literal translation of the duo’s thoughts — everything has to start from zero, where possibilities of paths are unlimited and anything is possible, all one needs to do is to take a leap. “Zero could be everything.” I had a brief converation with Philip this morning. Here's what he told me. FM: So why did you choose fashion to begin with? PhilipChu: Initially I wanted to do music, wanted to start a company based on multi media involving all aspects of creativity… gradually the designs developed into T-shirts, and led us into fashion. FM: Now that you mention this detail, music is indeed reflected in your clothes Somehow. PC: Yes definitely, we insist on making our own music for the shows. 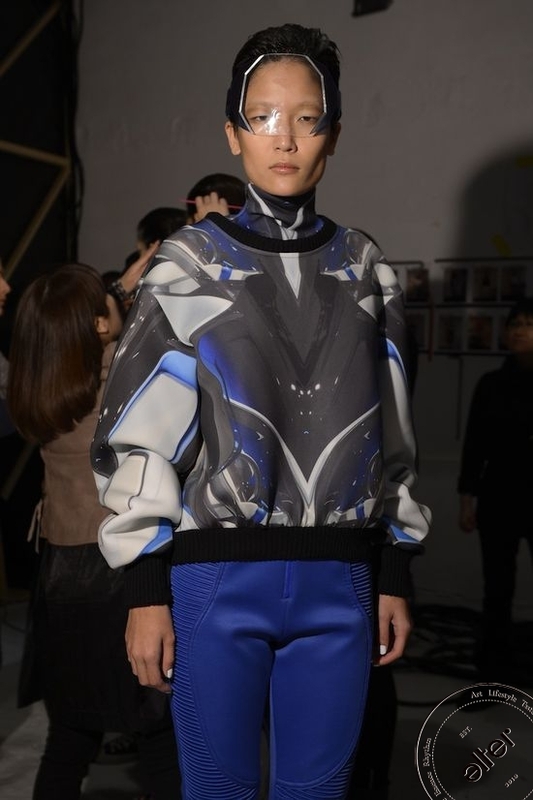 For SS13 show soundtrack, we were lucky to have collaborated with Chan Fai Young, famous Hong Kong composer. FM: This is amazing so, you launched Ground Zero with your brother. How do you separate your roles in the brand? PC: Eri creates the graphics, the prints whereas I'm more involved with art direction and media. FM: How difficult it was for you to launch Ground Zero in such a difficult period? PC: Looking back now, it was a very stressful time. We didn't realize how hard it actually was, as it all happened so fast and we enjoyed the whole process. There were often times where for example we had to budget so only one of us go to Paris for trade fairs etc. FM: What makes a designer important in your opinion in order to last. How does really longevity mean in this business? PC: Determination. You have to believe you can do it. Often you get mixed feedback, you have to focus on the good and carry on. FM: What is the most important thing you always carry or follow when working? PC: Because we like women. Womenswear offers more to play with, regarding silhouettes, color, detailing etc. We are very graphic based, women feel more comfortable to wear print more than men. FM: How different are women compared to men in your opinion? FM: In general and in clothes in particular. PC: Within fashion, women have more choices. They are demanding every season, looking for something new all the time. However men look for comfort and style, minimal and classic silhouettes. In general, women are more emotional and allow themselves to express more. Whereas men are more contained. FM: How did you form the Ground Zero, heroine/the woman you dress? FM: How do you think fashion responds to the financial crisis-if there is one? Is this the moment of great creativity? PC: Financial crisis definitely affects fashion like everything else. it's an inevitable cycle, we have to realize that it is happening and work around it rather than let it affect your designs. FM: What is your new collection about, the inspiration lets say. PC: In my mind, I imagine a time machine. A strong young woman walks out in armor, establishing her presence and identity..
FM: How did you start designing it, what was your research about? PC: We watched a lot of cartoons such as God Mars, researched into space images, galaxies..
FM: What is so fascinating about the unknown? PC: The unknown can be anything. There are no restrictions in creating within the unknown. It's intriguing. FM: Where is your collection available?